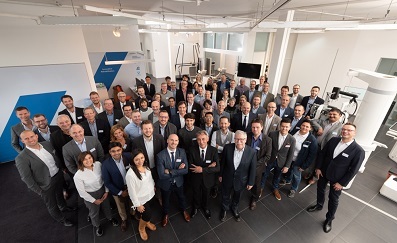 It was a pleasure to attend another Hocoma Sales Partner meeting at Hocoma‘s headquarters in Zurich, Switzerland from the 15th – 16th of November 2018. We partnered with Hocoma in May 2018 as a sales partner in the UK and we have been privileged to attend a number of Sales Partner meetings over the last few years, in the run up to become a UK distributor. We enjoyed meeting fellow Hocoma representatives from across the globe during the event, sharing our customer experiences and attending workshops. The two days contained a busy agenda, with business updates, networking opportunities, hands-on sessions, and inspirational speeches from Dr Glavic from Poliklinika Glavic and Dale Hull from Neuroworx. If you would like to find out more about any of Hocoma‘s products, please contact us and we will be happy to help!